Comments: Found in dolomite vugs which are in turn found in limestone boulders strewn about the site. 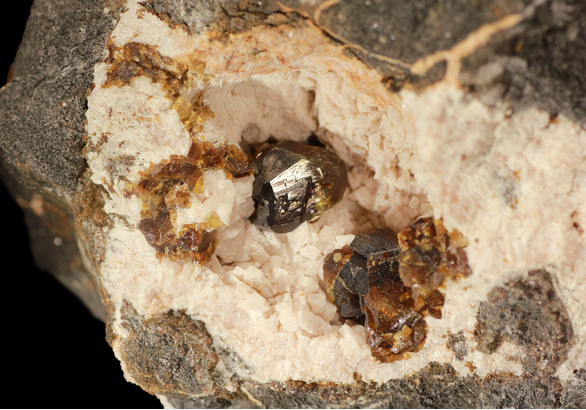 Unoxidised crystals are rare but some have been found and they appeared to be well formed honey blende crystals. References: Barry Flannery Collection; Mineralogical Magazine 1959 32 : 128-139. Dolomite ⓘ1 photo of Sphalerite associated with Dolomite at this locality.